Have you ever been in a social situation where you’re around a couple who are obviously on the verge of some chaotic relationship breakdown? It’s a whole new dawn of awkwardness. Resentful glares, forced bonhomie, irreconcilable differences shoddily patched up for the sake of appearances. It’s the sort of situation that Bloc Party could have soundtracked with their last album Intimacy, a record that summoned the indie grim-reaper like no other. ‘I want to make harsh electronic music’ said Kele, resigning Matt Tong’s drumming to the fingers-on-table variety, whilst guitarist Russell Lissack did um… well, not much really. 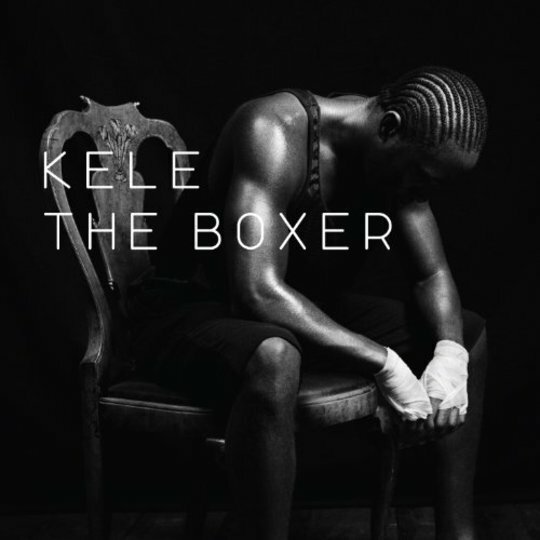 So whilst Bloc Party recede into memory, Kele has been busy inverting every indie cliché he comes across with the PR fanfare of debut album The Boxer. Press photos show the new Kele v2.0 with his face concealed in shadows, his ripped arms bulging, hands strapped with tape as he cradles his MPC sampler. ‘I never listen to indie anymore, I find it boring’ he said in a recent NME interview. You don’t need a semiotics degree to figure it out then; Kele’s days as a shy Gang of Four-loving guitarist are thataway. In opening song ‘Walk Tall’ Kele certainly enters the ring with plenty of aggression. 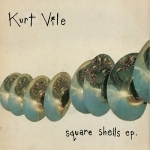 Divebomb synths and martial drum-beats clatter around whilst the refrain "I’m getting taller" hovers menacingly above. It’s a harsh, tribal, deliciously messy introduction which soon slips into debut single ‘Tenderoni’. And that’s where the problems start. Y’see, it’s kind of hard to reconcile the idea of Kele as a new breed of visionary electronic musician with a track that’s so stultifyingly unoriginal. From the first three seconds onwards it’s clear that he’s not just wearing Wiley’s Rolex, rather he’s nicked off with it altogether and is parading it round as his own. Producer XXXChange’s deft touch when working with Spank Rock seems to have been replaced with a nailbomb-subtlety here, with proto-BodyRox beats giving way to a hissing chorus that’s so ferociously compressed it sounds like a Concorde has somehow been squeezed inside your head. During the Bloc Party days I often thought Kele’s vocals made him sound like a man perpetually three seconds away from being dumped. It’s rather tiresome then, that a good deal of the vocals here seems to be recycling old themes and hooks rather than breaking free with an innovative new sound. His distinctive ‘Bethna-al Gree-en’ timbre is all over the album, "If you-u want, too-o leave me, you-u must not... fear" he pines in ‘Everything You Wanted.’ This along with the guitar-based ‘Other Side’ sounds like an orphaned Bloc Party track that’s been needlessly given a home on The Boxer. In sure-fire future-single ‘On The Lam’ his vocals are pitched up to unrecognisably feminine heights, and it provides a welcome change. Shame then that the song itself is only really suitable for live PR freshers-week style cattle-market £1 vodka shot hell. Its pretty much 2k6 era Bassline. Back-of-the-bus, Nokia-on-a-lanyard types might like it, but it holds almost inverse appeal to anyone else. In truth, it’s just very hard to know what Kele is trying to achieve with this album. So often the songs just sound like a terminally-ill Bloc Party backed by some entry level beats. You might label it trend-chasing, but this sub-Van Helden style hasn’t really been a trend since Dave Pearce’s heyday. Simply put, the harsh beats and Kele’s vocals never properly gel. He never truly sounds like the battle-scarred warrior depicted on the cover. "Everytime we kiss/ I feel you were holding ba-ack" he sings on ‘Tenderoni.’ Not quite the effervescent swagger of "Here’s my number she already knows it/ Wiley’s a party guy and she knows it", then. Its not all bad, ‘Rise’ does a fairly decent Justice impression with its buzzsaw cut n’ paste synth squirming around before collapsing in on itself in a shower of fractured beats. ‘New Rules’ is a sweet little interval, its plucked strings and swashing effects only let down by some anti-climatic lyrics. "I’m learning to be laid back…" he repeats with a hazy sincerity, before the dismal coda "…about things". 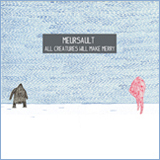 ‘All the Things I Could Never Say’ provides the most heartfelt moment on offer here, an undulating string line cushions the choir-backed refrain "you’re making me older/you’re making me ill". It’s a soothing respite. For The Boxer to truly work it should have sounded seductive, slinking, and bristling with latent venom. Instead he seems to be making music with the same irrational fervour as a middle-aged salesman jilting his devoted wife in pursuit of his blonde secretary. Having an instrument-swaparound is not virtuous in itself, and a great deal of The Boxer sounds reactionary to the point of irreverence. He seems so obsessed with the idea of crafting himself a neat PR image that he’s forgot to bring along any sense of genuine, fresh creativity. What we’re left with is a batch of half-edited ideas glued together from stray bits of forgotten musical debris. It just isn’t good enough.